The Black Trilogy. 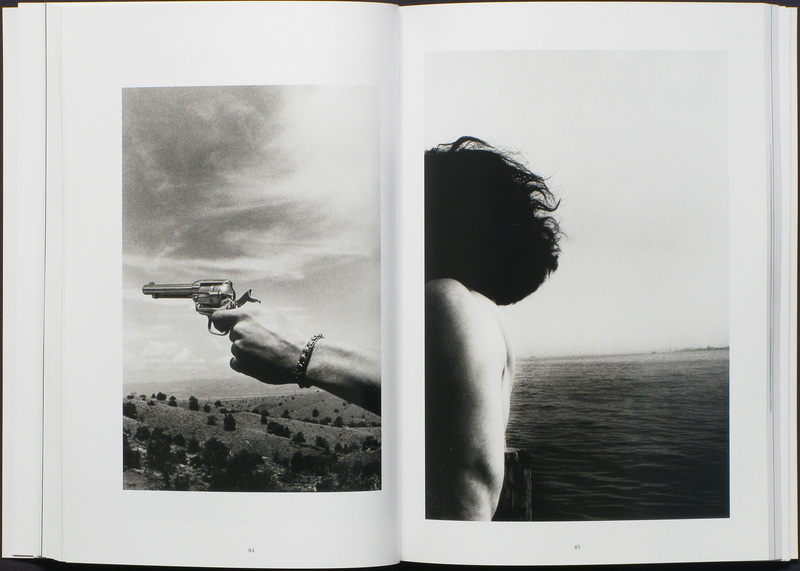 Photographs by Ralph Gibson. University of Texas Press, 2018. 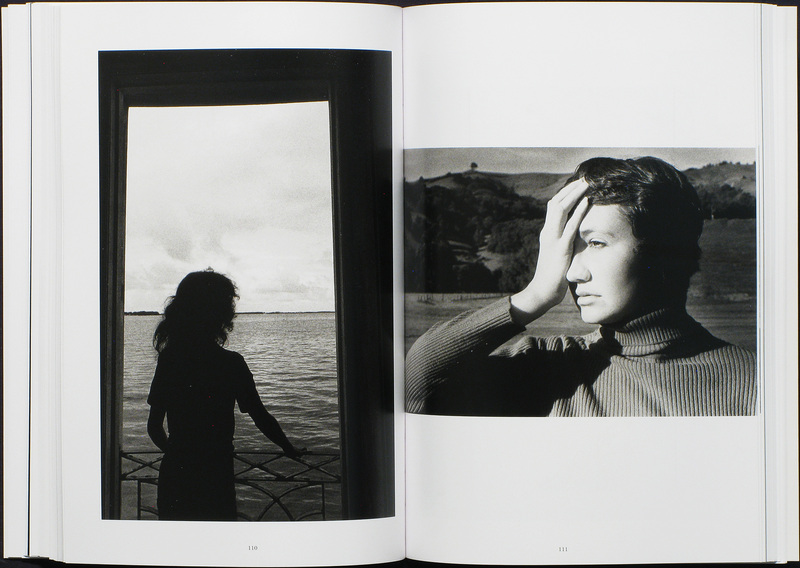 Photographs by Ralph Gibson. Text by Giles Mora. University of Texas Press, Austin, TX, USA, 2018. 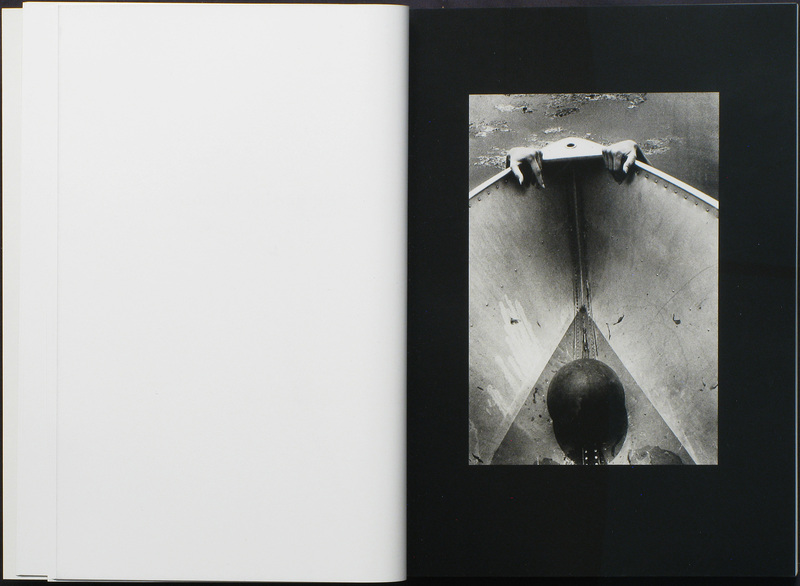 200 pp., 170 black-and-white illustrations, 8¾x12¼x¾". 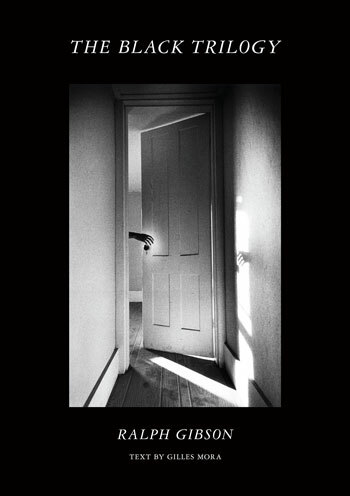 Grant Faulkner, editor of 100 Word Story, describes the genre of flash fiction as “one part story, one part poem”—a narrative with plot, broken by “absences,” that may feel, at times, “almost spectral, haunting what’s been told.” If ever a photographer met this ephemeral standard, Ralph Gibson would be the one. I met Gibson in the usual, unspectacular way: standing in line to have a book signed. He was manning photo-eye’s table at AIPAD this year, inscribing copies of The Black Trilogy, a shadowy omnibus of his three most groundbreaking monographs: The Somnambulist (1970), Deja-Vu (1972), and Days at Sea (1974). At seventy-nine, Gibson’s startling gunmetal blue eyes have lost none of their gleam and certainly none of their aim. On the title page of my copy, “Ra” and “Gib” appear in a semi-legible lunge. I exited the line, but on my way out, I thought: even in the name, plot and absence. That’s how The Black Trilogy works. Drama, intrigue, fantasy, and occasional danger hinge on interrupted narratives, cinematic and surreal. And though Gibson’s technique has appeared in more than thirty books over the past fifty years, it feels as if it were born fully fledged, like Athena stepping out of Zeus’s cracked head. The Black Trilogy. 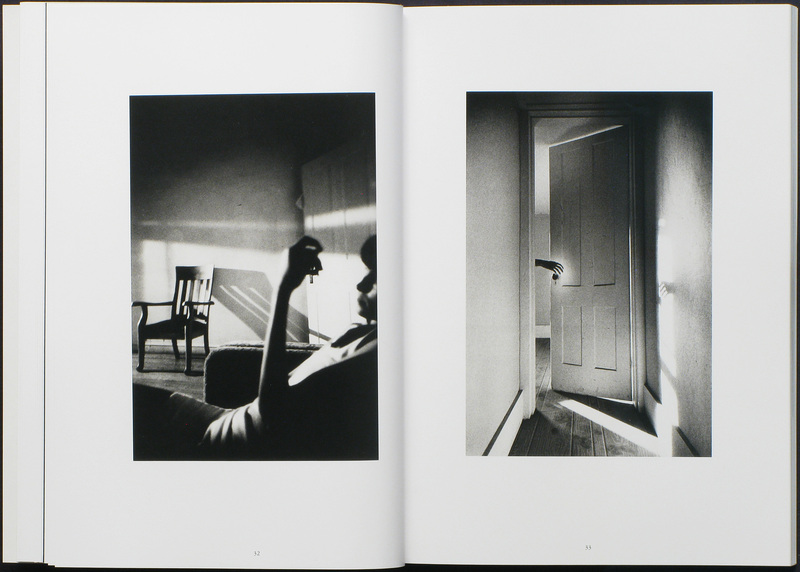 Photographs by Ralph Gibson. University of Texas Press, 2018. There’s a photograph in Gibson’s first book, San Fran (1960), taken when he was a student at the San Francisco Art Institute in the early sixties. A man strums an acoustic guitar in the foreground, and behind him, an infant’s open hand glows above her crib. Compare this photograph with the well-known hand in The Somnambulist (the cover image for The Black Trilogy)—the symbolism of it, that radiant reaching of one’s hidden self toward art. It’s a plot that repeats throughout Gibson’s books, but with a strength that seems to have sidestepped the pangs of aesthetic adolescence. Which is not to say that, outside of publishing, Gibson didn’t have misgivings about the direction of his career. Very early on, he’d set out to be a photojournalist, apprenticing under Dorothea Lange and, later, working alongside Robert Frank. But he was leading a double life. Gibson felt that the photographs he made off the clock — like the iconic hand in the doorway — contradicted his stated profession. Even Lange noticed Gibson’s vocational identity crisis. “I see your problem, Raphael,” Lange once said, “you have no point of departure.” Whereas Lange preferred the way stations of reality, Gibson roamed regions far more abstract and psychological — regions loosely mapped by a deference to art history. He found himself navigating the world through its poets, musicians, philosophers, sculptors, and painters. Figures like T.S. Eliot, Johann Sebastian Bach, Jorge Luis Borges, Jean-Luc Godard, Robert Frank, Heitor Villa-Lobos, Bonnard, Henri Matisse, Jackson Pollock, Stéphane Mallarmé, Henri Cartier-Bresson, Alain Resnais, George Gurdjieff, Marcel Duchamp, Ingmar Bergman, Alexey Brodovitch, and Alfred Hitchcock populate Gibson’s inner landscapes. Lots of things are interrupted in The Black Trilogy, but rarely the sensual. In The Somnambulist, for instance, we see on one page the image of a woman slipping her fingers through the fingers of a man off-camera. Charged with anticipation and stopped breath, eyes and fingers lock. But not until the next image on the facing page does the moment find release: a salon on fire: desire’s spontaneous combustion. 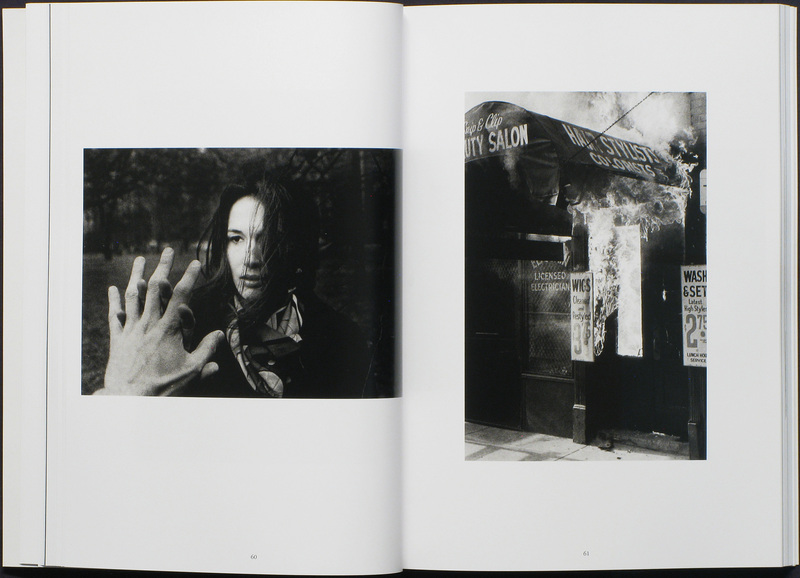 One of the most exciting features of this trilogy is the way Gibson arranges his photographs. While aboard the USS Tanner in 1959, he encountered T.S. Eliot’s Four Quartets. 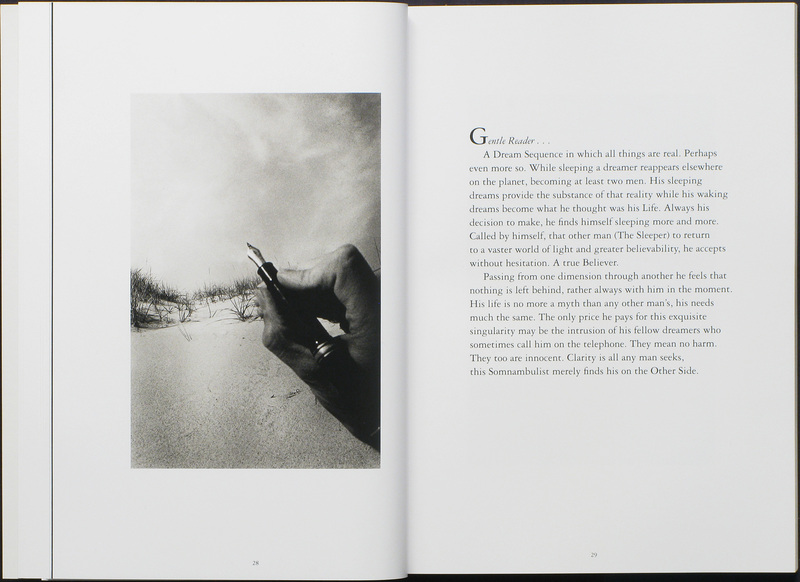 The poem inspired Gibson to consider more carefully the emotional impact of words and images juxtaposed on a page. To capture that poetic sensibility, Gibson began arranging The Somnambulist as a series of diptychs, each spread a single plot-burst of juxtaposition with the crisis or climax left to the viewer’s imagination. The images may not always continue one another, as they do, for instance, in the Deja-Vu photo of a pointed gun and its complimentary image, a shooter mid-aim. But even when they feel discontinuous, they resonate in a careful balance of shape, tone, size, symbol, and allusion. In that sense, The Black Trilogy is as much a textbook for aspiring photographers as it is a seminal achievement in the history of photography. But the real pleasure is one of intoxication. In these three books, we join Odysseus in the lap of the nymph Calypso, distracted by beauty for seven years. Except that, in Gibson’s version, the boat has been cut out of the narrative. There is no escape.